The Wärtsilä Energy Storage System will enable increased use of renewable energy, such as wind and solar, on the Caribbean island of Bonaire. Image courtesy of ContourGlobal. The technology group Wärtsilä has been awarded an integrated 6 MW energy storage project contract for the Caribbean island of Bonaire. The engineering, procurement, and construction (EPC) hybrid energy project includes both the hardware, consisting of batteries and inverters, as well as GEMS, the energy management software from Greensmith Energy, a Wärtsilä company. The order with ContourGlobal Bonaire, a subsidiary of London based ContourGlobal, was booked in Q4, 2018. The energy storage system will enable Bonaire, part of the Netherlands Antilles, to increase its use of renewable energy such as wind and solar. In order to integrate more renewable energy and its intermittent nature, the Wärtsilä energy storage solution will provide the grid stability and reliability required for the island. The energy storage solution will also prevent situations where generation from renewable sources would otherwise had to be curtailed. The project will integrate multiple generation assets including all of the island’s existing power generation assets, energy storage, wind and solar. GEMS software will control the island grid of Bonaire, an island of 19,000 inhabitants. Work on the Wärtsilä EPC project has commenced, and final completion is expected in April 2019. “Wärtsilä was the best choice to realise integrated and optimised multiple generation assets. 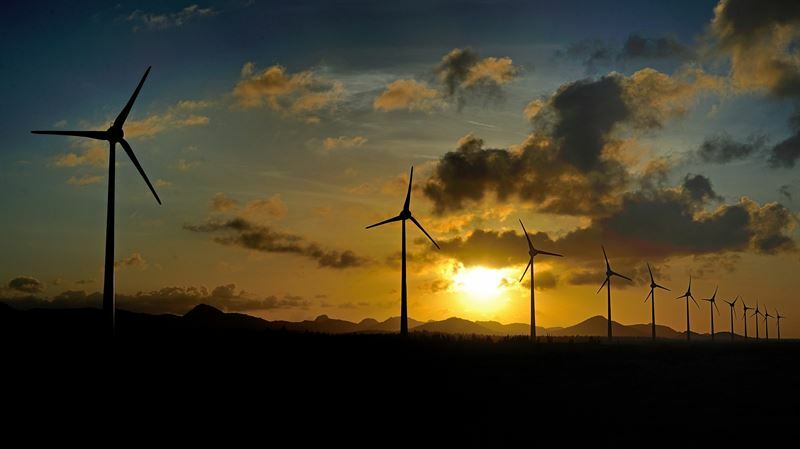 Their advanced energy storage and software platform will increase ContourGlobal’s wind power production and solar generation energy in Bonaire. For several years Wärtsilä has been a reliable partner of ContourGlobal. Both companies have successfully worked together on other power generation solutions around the world. Wärtsilä’s track record is outstanding. It was also important to us that Wärtsilä is capable to deliver on a fast-track schedule,” said Giorgio Narminio, Caribbean assets, COO at ContourGlobal. Greensmith's GEMS software platform offers the widest range of energy storage applications for optimising energy storage, often integrated with a growing variety of renewable and thermal generation assets. ContourGlobal is an international owner and operator of contracted wholesale power generation businesses. It owns and operates approximately 4,830 MW in 103 power plants in 19 countries and three continents. ContourGlobal is listed on the premium segment of the London Stock Exchange (TKR: GLO). Read more about Wärtsilä energy storage solutions. Image caption: The Wärtsilä Energy Storage System will enable increased use of renewable energy, such as wind and solar, on the Caribbean island of Bonaire. Image courtesy of ContourGlobal. Wärtsilä closed the acquisition of Greensmith Energy Management Systems Inc in July 2017. As the leading provider of energy storage software and integration services, Greensmith’s mission is to make energy storage a fundamental part of a more resilient, intelligent and distributed energy infrastructure. Greensmith’s GEMS software platform optimizes the performance of energy storage and integrated grid assets by lowering costs and maximizing system return on investment. Wärtsilä Energy Business is leading the transition towards a 100% renewable energy future. As an Energy System Integrator, we understand, design, build and serve optimal power systems for future generations. Wärtsilä’s solutions provide the needed flexibility to integrate renewables and secure power system reliability. Our offering includes flexible internal combustion engine-based power plants, hybrid solar power plants, energy storage & integration solutions, as well as gas to power systems. We support our customers over the lifecycle of their installations with services that enable increased efficiency and guaranteed performance. Wärtsilä has 68 GW of installed power plant capacity in 177 countries around the world. Wärtsilä is a global leader in smart technologies and complete lifecycle solutions for the marine and energy markets. By emphasising sustainable innovation, total efficiency and data analytics, Wärtsilä maximises the environmental and economic performance of the vessels and power plants of its customers. In 2017, Wärtsilä’s net sales totalled EUR 4.9 billion with approximately 18,000 employees. The company has operations in over 200 locations in more than 80 countries around the world. Wärtsilä is listed on Nasdaq Helsinki.